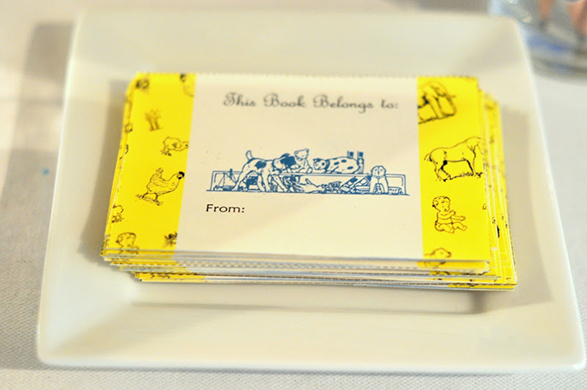 The stork is mighty busy in my neck of the woods! 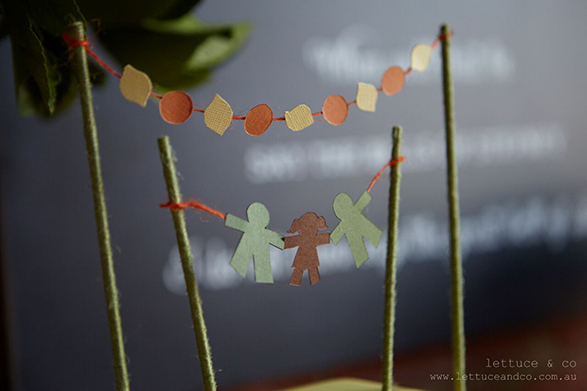 By Christmas I will be an Aunty (eek!) 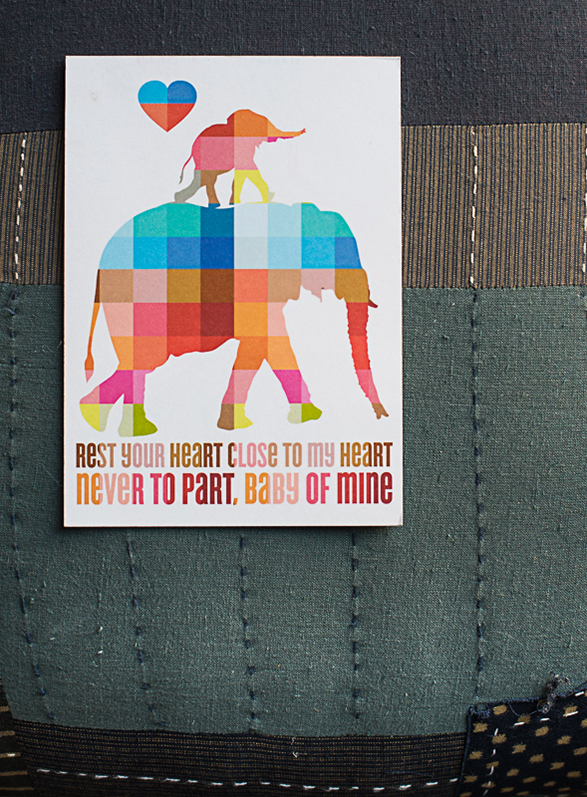 and some of my closest friends are expecting bambinos in the coming weeks. 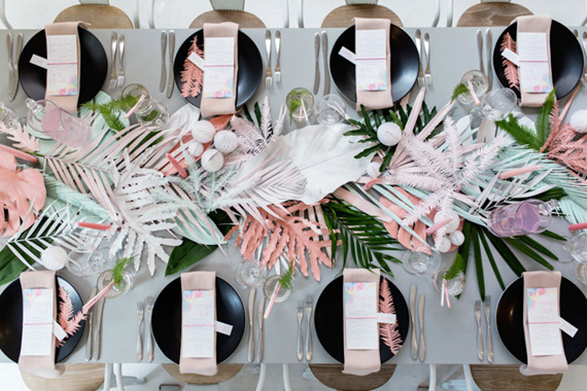 While I try and contain my excitement until the babies arrive and I can kiss and sniff their sweet little heads, I’ve pulled together five beautiful baby shower themes to inspire – and make you a little clucky! 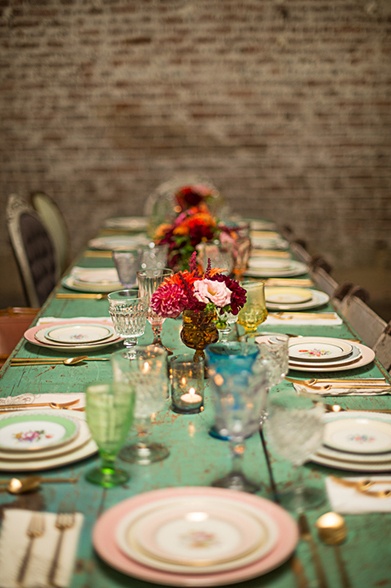 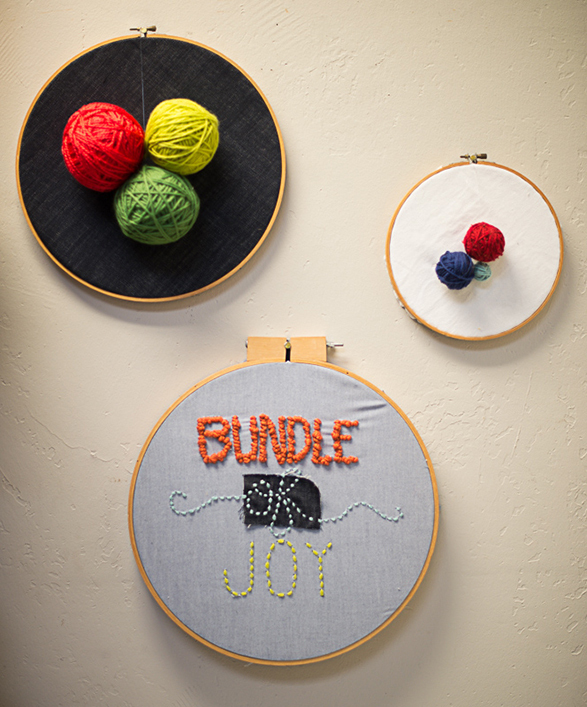 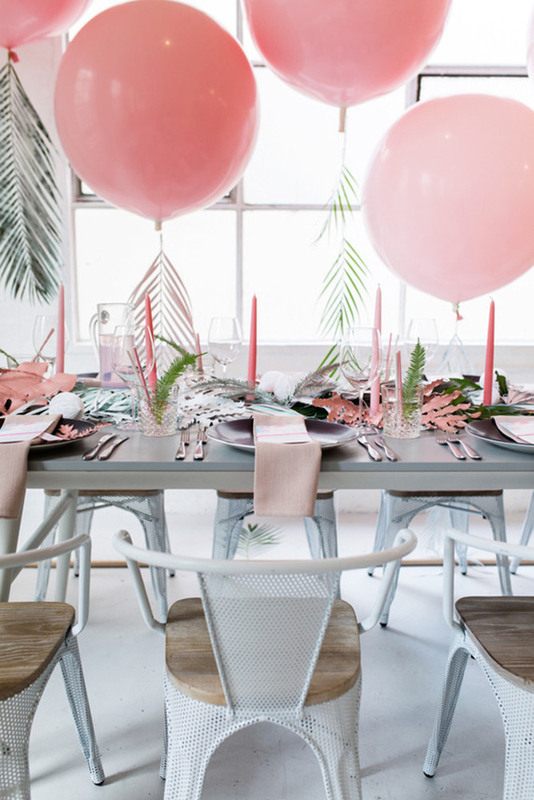 You don’t have to stick to a palette of pink or blue, follow the lead of Jeni Maus’, owner of vintage rental company Found, who threw the rulebook out when she hosted a baby shower for good friend and co-worker, Allison Howell. 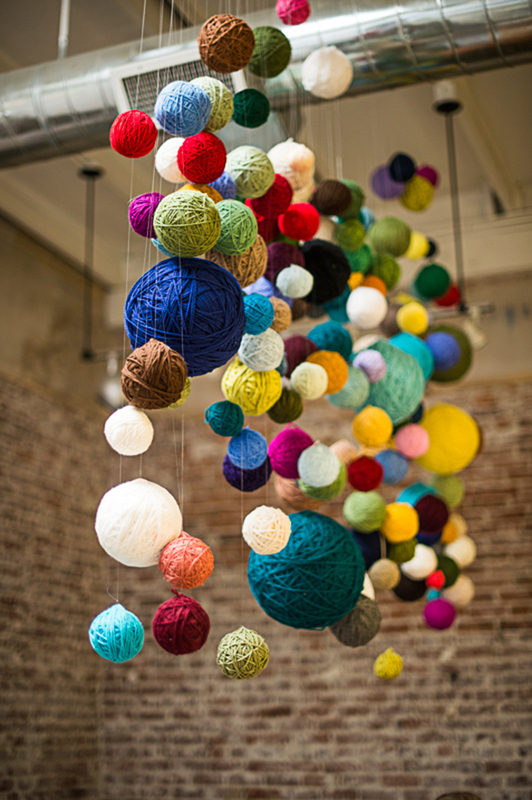 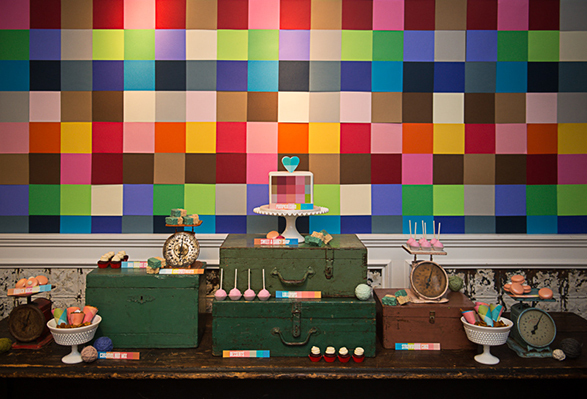 Embracing colour-blocked primary brights, Jeni created a high impact dessert table, styled the space with vintage finds and made a stunning candelier out of hundreds of yarn balls. 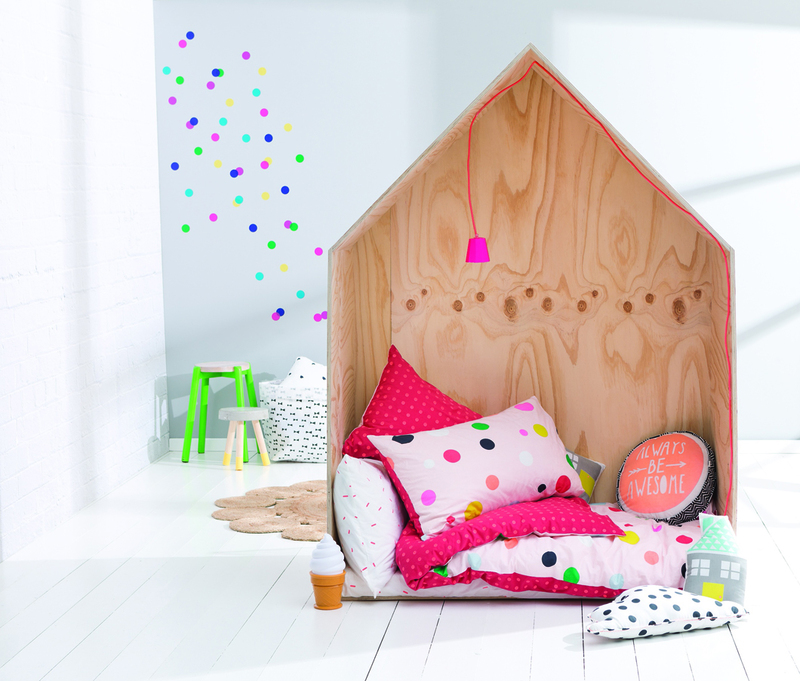 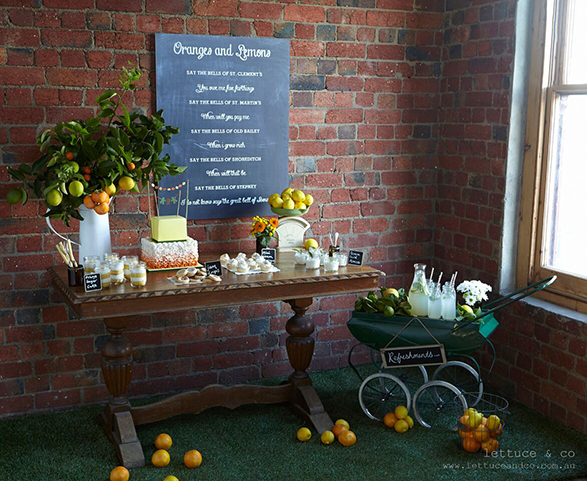 Inspired by a favourite nursery rhyme, Lettuce & Co. created a whimsical baby shower. 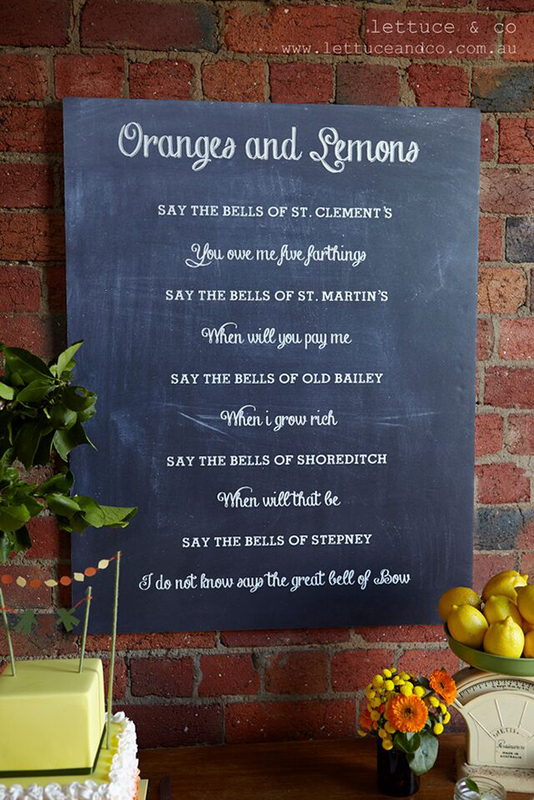 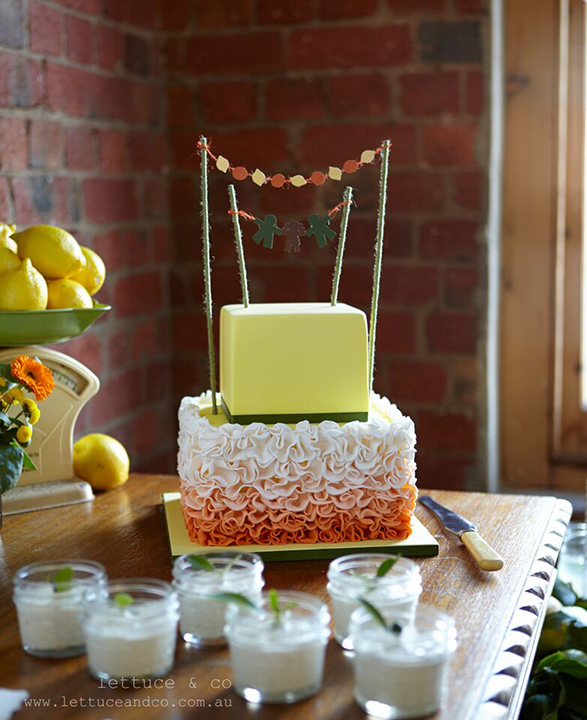 Giving new life to the theme’s old history, they made bunting, handwrote the nursery rhyme on a blackboard and served tangy lemon curd mousse pots, layered orange cakes with buttercream, jam drop biscuits and mini lemon meringues. 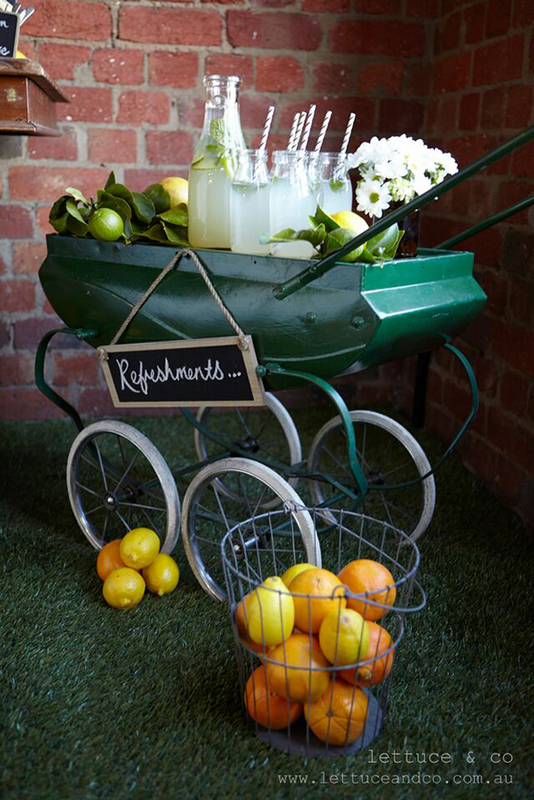 A vintage pram was also laden with homemade lemonade and used as a drinks station while the festivities centrepiece, a citrus cake with ruffles, was almost too pretty to eat! 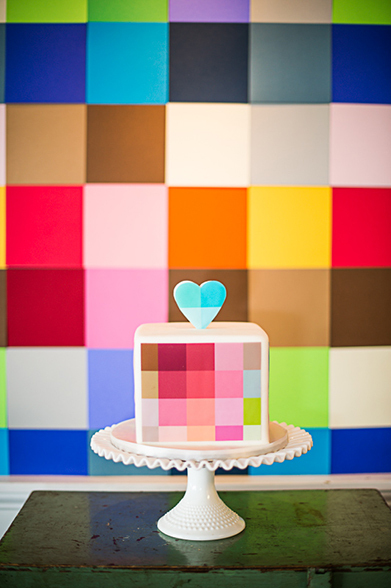 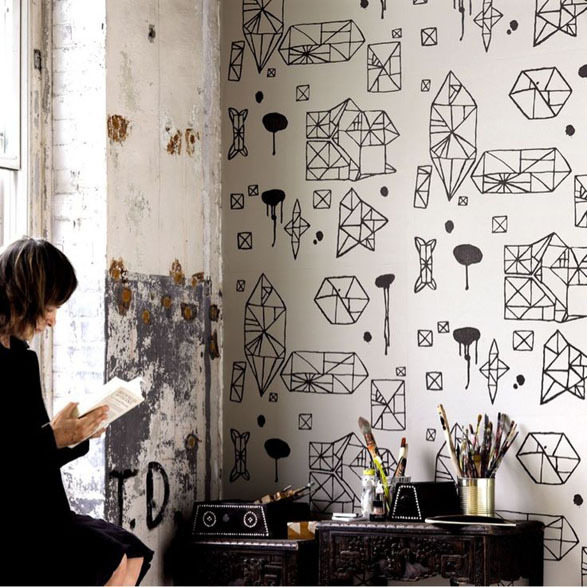 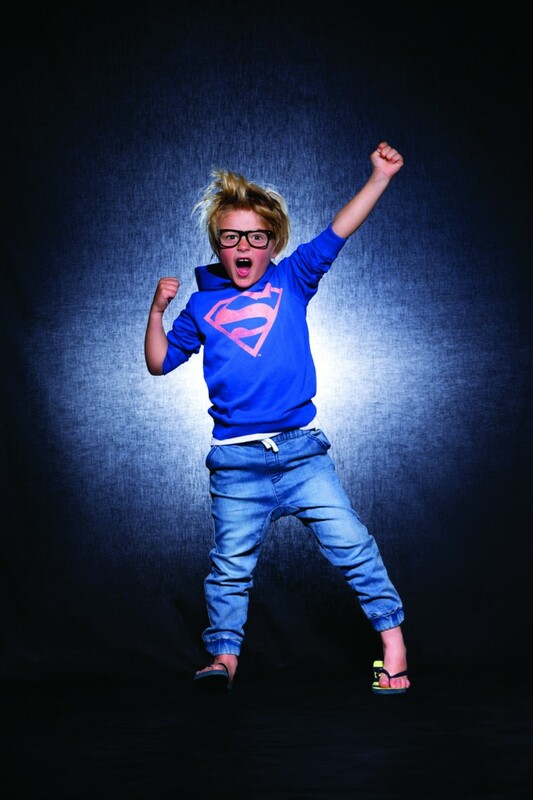 Anneliese is the clever cookie who blogs at Aesthetic Nest. 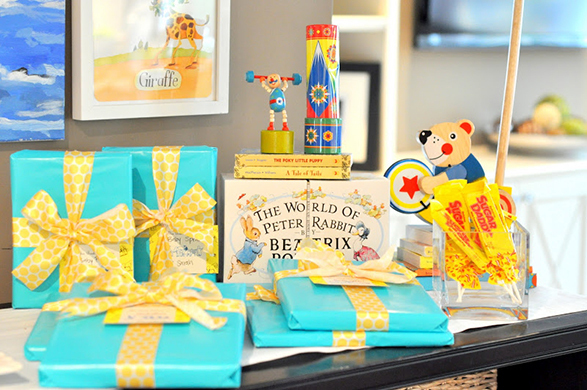 A couple of years ago, she and her sister hosted a Golden Book inspired baby shower where guests were asked to bring their favourite book, rather than a gift, for bub. 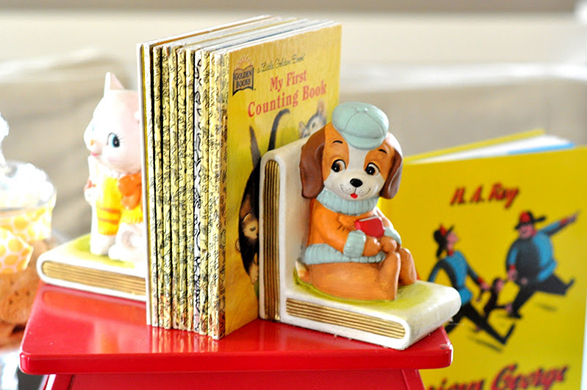 Sticking with a Golden Book inspired palette of blue, white and gold, Anneliese used vintage books, toys and apothecary jars as decor. 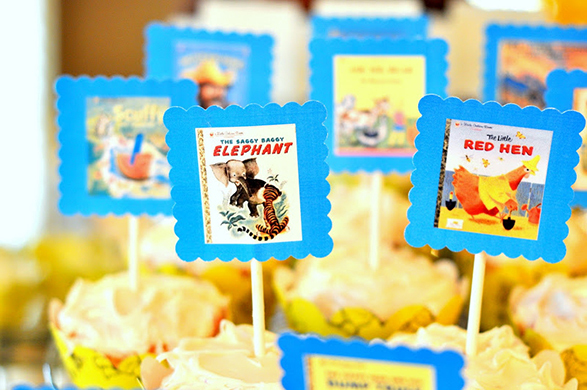 From cake toppers, book plates and decorations, she was also incredibly clever at continuing her theme through every detail of the baby shower. 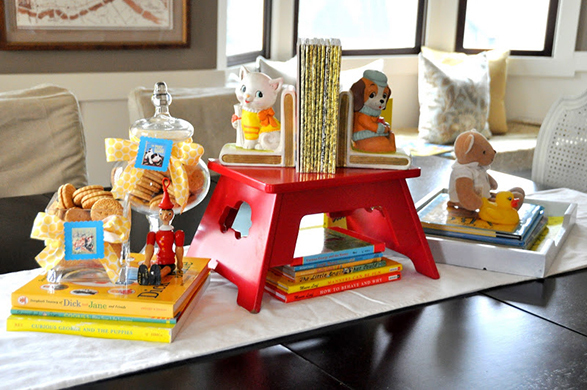 If you like the look of a Golden Book baby shower, you can download a stack of handy printables that Annelise created here. 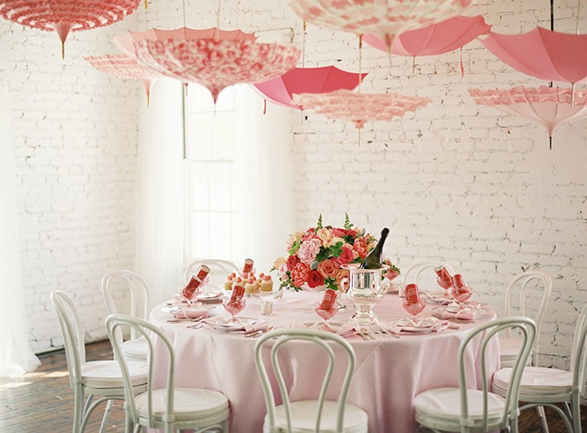 Karson Butler Events threw a perfectly pink baby shower for Sandie. 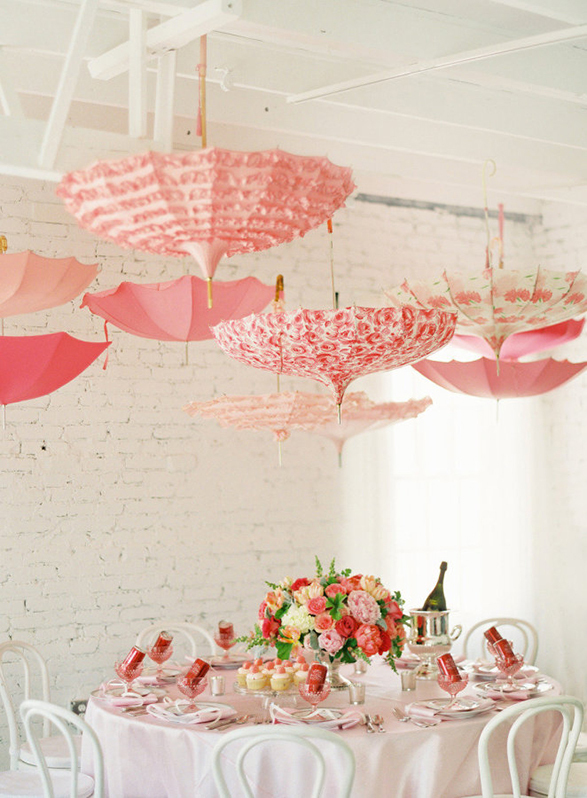 Sweet but never saccharine, they kept the focus on simple, pretty decor and played up the “shower” theme by hanging a collection of vintage umbrellas from the ceiling. 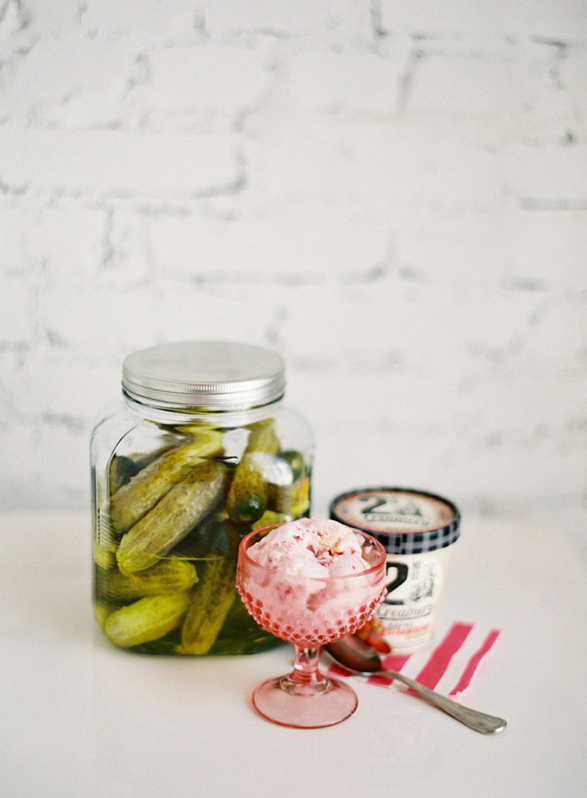 They continued this wit through to a “Craving Station” — a fun interactive game where guests ranked food like pickles and ice cream in the order that they thought Sandie had craved during her pregnancy! 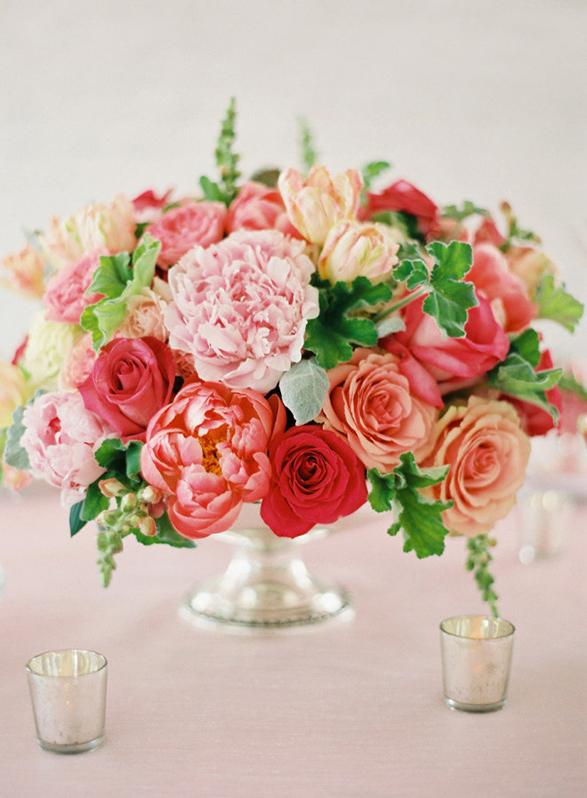 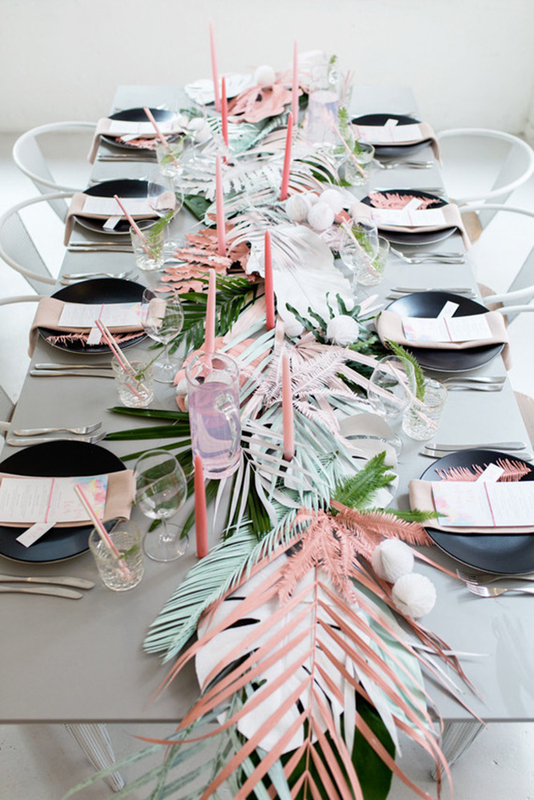 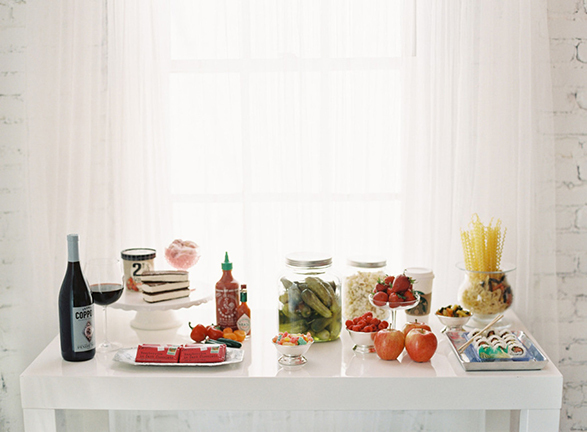 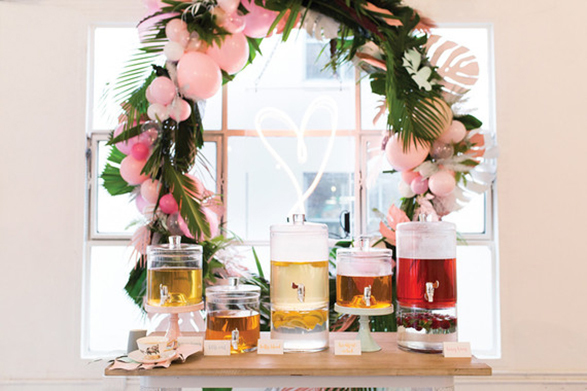 Lenzo created a thoroughly modern and perfectly quirky tropical baby shower. 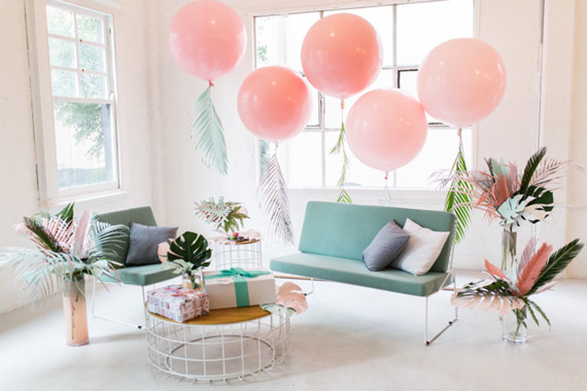 The hero decor was foliage they painted in pastel hues and jumbo bubblegum pink balloons. 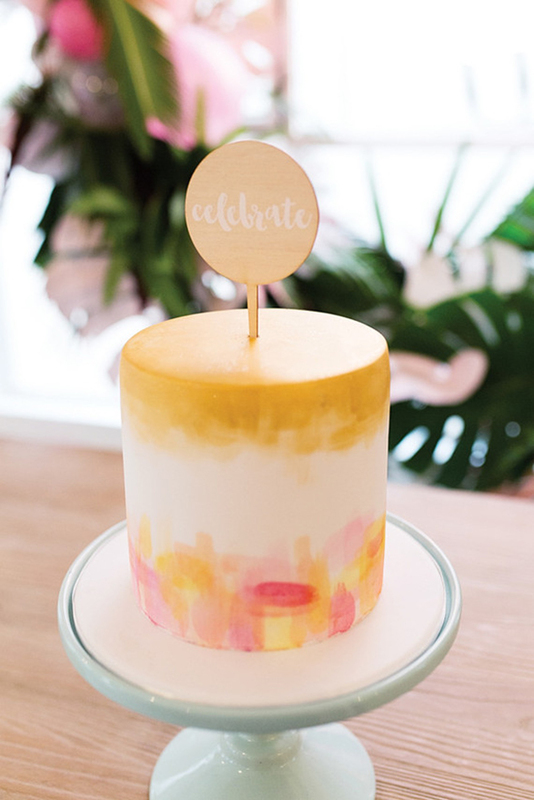 The watercolour cake also stood out for all the right reasons.